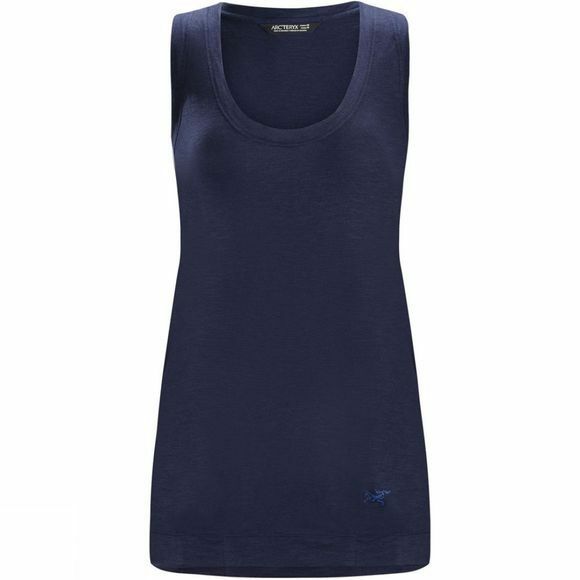 Light, fast and airy, the Arc'teryx Women's Pembina Tank is designed for high output in hot weather. The women-specific design and articulated patterning are designed to work with a body in motion, and the trim fit minimises bulk for a streamlined, performance fit. Seams are minimised to reduce irritation, a built-in mesh bra adds some support, and the racer back strap configuration and scooped neckline deliver a secure, stable fit with a streamlined silhouette. Solatius is a stretch jersey fabric that is exceptionally comfortable next to your skin, and quickly wicks moisture. Highly breathable, the fabric permits rapid vapour transport and allows air to flow through for evaporative comfort.